The social app is among the last to tap public markets. Prince Alwaleed buying a stake in Snap suggests investors still like the sector. A valuation between the disappearing-message service and Twitter suggests Pinterest is worth around $13 bln, a tad more than last year. A Pinterest banner hangs on the facade of the New York Stock Exchange (NYSE) in New York City, U.S., September 22, 2017. Saudi Prince Alwaleed bin Talal on Aug. 7 said he bought a 2.3 percent stake in Snap for $250 million in May. The company has “just begun to scratch the surface of its true potential,” he said in a statement. Snap reported second-quarter revenue on Aug. 7 that beat the Thomson Reuters I/B/E/S estimate. The company also said daily Snapchat users fell to 188 million from 191 million in the previous quarter. 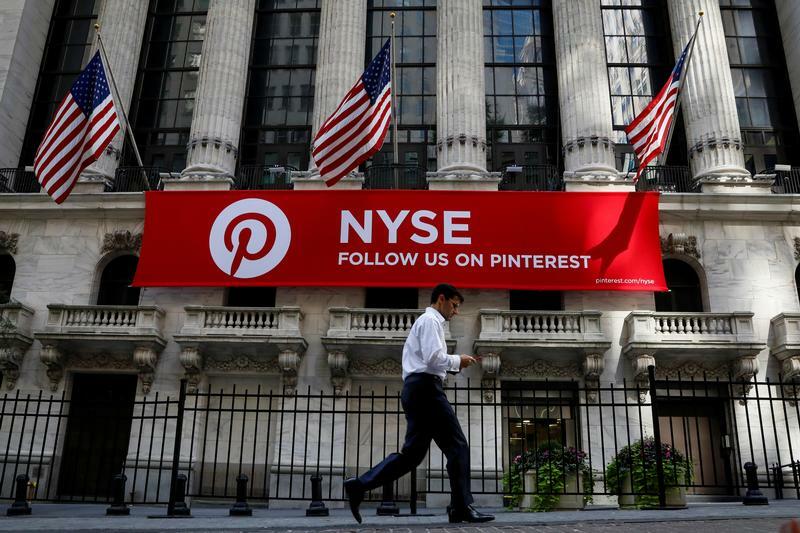 Social-media company Pinterest is planning a mid-2019 initial public offering as its advertising sales approach $1 billion, CNBC reported on July 23. The company’s valuation in the secondary market is between $13 billion and $15 billion, the report said, citing people familiar with the matter. A year ago the company raised $150 million from existing investors, valuing the company at $12.3 billion.